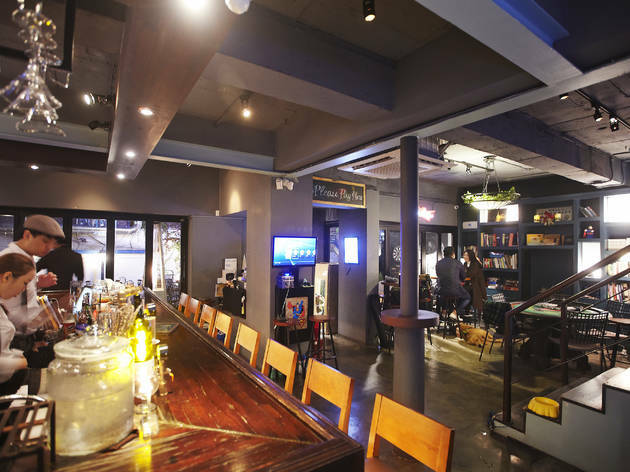 As one of the newer artisanal bars in Hyehwa, Mix & Malt is still off the radar to most. This homey bar uses fresh herbs and spices—many of which come straight from their own garden—to concoct some of the best cocktails in this part of the city. The menu is so thorough that placing an order might be the biggest decision patrons make all day. In addition to the classics, Mix & Malt also boasts a number of signature and seasonal specialties, such as their ever-changing mojito varities, each having a superb presentation. Because so much effort is put into each drink, waiting time is a bit longer here than at other bars, so visitors should be prepared to wait. 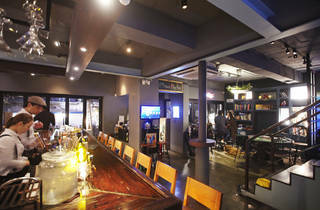 Fortunately, the bar offers plenty of entertainment, from board games to video games to a shuffleboard table. On the second floor, there is a cozy fireplace which makes this our go-to drinking hole in the colder months.